The best search engine in the world can’t discover, query and present what it can’t touch. To learn something you have to see it, read it, hear it, experience it, share it and understand it. You acquire skills or knowledge by being taught in some manner. It isn’t an idea or something we need to do, it is what we do. It is part of our humanity and intelligence. If we can agree that learning is important and if we can agree that knowing something is important. Why is there a question at all around the value of maintaining knowledge assets? A doctor may use a checklist to perform her work and she may also reference best practices and lessons learned but those explicit artifacts aren’t enough for most to trust her in surgery. Could you imagine a doctor watching You Tube to see how to perform a heart transplant on her first patient? The knowledge assets associated with developing competency are people interactions, understanding process, methodology, practices and tools. If the people portion of learning is missing it takes longer to gain competency and it also may take many more failures to achieve success. There are things that we can in fact can learn on You Tube and Google or other search tools alone but someone has to post the content. All the time we hear and talk about big, small, medium and bite size data. What good is data science without data? What good is analysis with nothing to analyze? Data comes from codified knowledge which comes from people. People are the source of knowledge and the tools around them help collect information and information then can be stored as data. It isn’t the other way around. Even when data becomes information and is presented through an interface to a person, only then does it become knowledge. After the person understands what they are looking at. I met a few weeks ago with the former CIO of a large consulting firm. Lucky for me he is retired and has time to share some conversation, thoughts and wisdom I asked him about what he thought about knowledge management and knowledge assets in our working world today. As I enjoy the coffee and the conversation, it does occur to me that this is a familiar story, at least to me. Knowledge is important but people don’t worry about the opportunities or risks, they are more overly concerned with immediate and direct results. In other words, if I make a million dollars but only get to take home 500K because I didn’t have something or know something that is ok. It doesn’t seem to matter that I could have taken home 700-800k if I had the knowledge on hand. It is the difference between the perception of what something could be over what something “seems” to be definitively. 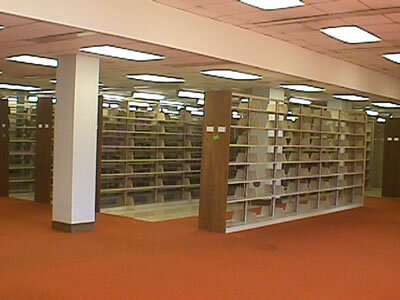 The picture on this post is of empty bookshelves, it seems to me that as we become more advanced in our ways, we don’t feel as if we need the people or the books or the place to go to read. It is interesting to me to think that a lot of leaders only believe that people matter only in that moment when they are needed. It is also interesting to me that there is a willingness to pay a high price overall to pay for this “knowledge as a service” concept even though it is much more expensive. Information and content management is only as useful as the artifacts generated by knowledgeable people. If we try to discard the people, we are left with very little. If we have very little to store we will have very little to find. All of these concepts simply add up to more time to accomplish goals and objectives and these will result in higher costs. I can only hope that other senior leaders can find ways to see a bit more value in knowledge assets than my former CIO friend. Hiring for knowledge has always been there. The question is where did that knowledge originate? Didn’t someone have to have it first? I think what is happening to knowledge is that knowledge should be seeking the truth and when you find truth, you have a responsibility to then acknowledge it and build upon it. But today no one really wants to know the truth because of the responsibility it brings with it to either try to defend it or change it but moreover because it might not agree with our plans. So we have relative data to support our plans and that data like all relative things is fleeting because it wasn’t founded on a foundation of knowledge. It is the same thing we see happening today with commitment in general. No one wants to commit to something because something else might come along that is better for them, so they stay very fluid and non-committal. Being fluid isn’t an issue if you have built upon truths and knowledge, but to think that you can just buy the answers to your questions at will without any foundation, you might have a short windfall, but eventually you need to find the truth for the long haul. Maybe the problem with KM is that no one is willing to commit to the long haul. Maybe today, legacies are only built upon one thing…how much money you can accumulate. That might be why we see so many pyramid schemes today as they play out long enough for a few to get rich, while the last ones in get holding the bag.